Prime Minister Gordon Brown has apologised for the UK's role in sending more than 130,000 children to former colonies where many suffered abuse. He expressed regret for the "misguided" Child Migrant Programme, telling the Commons he was "truly sorry". He also announced a £6m fund to reunite families that were torn apart. 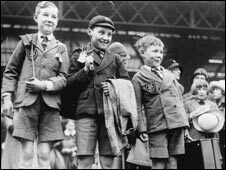 The scheme sent poor children for a "better life" to countries like Canada and Australia from the 1920s to 1960s, but many were abused and lied to. Mr Brown said: "To all those former child migrants and their families... we are truly sorry. They were let down. "We are sorry they were allowed to be sent away at the time when they were most vulnerable. We are sorry that instead of caring for them, this country turned its back. "And we are sorry that the voices of these children were not always heard, their cries for help not always heeded. And we are sorry that it has taken so long for this important day to come and for the full and unconditional apology that is justly deserved." He also said they were cruelly lied to and their childhoods "robbed", and described the scheme as "shameful" and "a deportation of the innocents". More than 130,000 children, aged between three and 14, were sent to Commonwealth countries. As they were shipped out of Britain, many were wrongly told their parents were dead, while parents were given very little information about where their children were going. The former child migrants have told how on arrival they were separated from their siblings, and put into foster homes, state-run orphanages and religious institutions. Others were educated only for farm work. Many were subjected to brutal physical and sexual abuse by those who were meant to be caring for them. Tony Costa, who grew up in orphanages in the UK until he was sent to Australia aged 12, said: "I would often cry myself to sleep, many a night. And we were there until we were 16 years of age. "To this day, in the early hours of the morning, it's nothing uncommon for me to wake up in a sweat, thinking of my time whilst in these institutions." 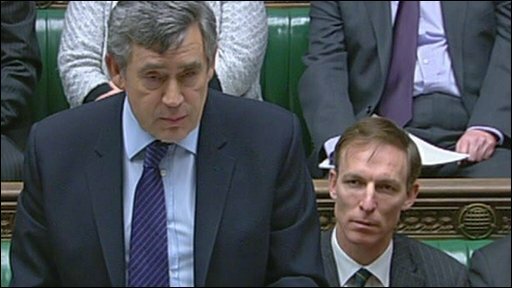 Conservative leader David Cameron said the programme had been operated by all political parties and Mr Brown's apology was on behalf of "all of us". He said: "It is hard to believe that this went on for so long, that the last children sailed in 1967 after most of us in this House were born. "Anyone who studies what happened, systematically and for so long, will be profoundly shocked at the splitting of families, the lies and abuse that took place, the official sanction which made it possible, and the heartache which it caused." Liberal Democrat leader Nick Clegg said the apology would never heal the "extraordinary" pain but hoped it would start to atone for the "shameful episode in our history". The Child Migrant Trust said the significance of the apology was "immense". Director Margaret Humphreys said: "It gives them [the migrants] the recognition they have sought for so long - and, sadly, that so many have not lived to witness." Last November, Mr Brown announced he was planning to apologise after Australia's prime minister Kevin Rudd said sorry for his country's part in the tragedy. Until now, no British prime minister has ever delivered an official apology, despite repeated demands from victims' groups. Last week, Britain's High Commissioner to Australia, Baroness Amos, said the apology would be an "important milestone". "We want not just to bear witness to the past but to look forward to a future where these terrible events will not be repeated," she said. Harold Haig, secretary of the International Association of Former Child Migrants and their Families, said it was a "momentous day", for which migrants had waited a lifetime. "This apology is a moment in history when there can be reconciliation between the government, the nation and the child migrants," he said. Australian MP Steve Irons, who played a part in lobbying for Canberra's 2009 apology, also welcomed the UK move. He said the abuse would never be forgotten, but it was an important part of the healing process for victims to hear the government believed them and was sorry. Mr Brown said the child migrants themselves were consulted about the form the apology took. Sixty survivors were flown to London so they could listen to the statement in person. Some 7,000 child migrants from Britain still live in Australia. Were you a child migrant? How did it affect you? If you'd like to share your experiences you can use the form below.